It’s funny. When I was a kid, relatives would constantly tell me that I was “going places”. They assumed my smarts and demeanor would take me away from my family and rocket me down some highway to Harvard. They weren’t wrong… but they weren’t right in the way they thought they were going to be, either. Many teachers face the constant questions about why they became a teacher instead of something else… you know… something that could “take them somewhere”. I’d beg to differ with them on the point that teaching can’t take a person to new places.Teaching is like learning in that it expands the mind, and it expands perspectives. Teaching takes my mind somewhere new, every day. In 6 years, I’ve taught at every level of K-12 education. I’ve taught everything from 2nd grade (all subjects) to Beginning Spanish, to AP Spanish Literature, to English, to Math, to basic twitter use for teachers! I’ve done the math… and I’ve taught nearly 1000 students (including my final internship). I’ve also literally gone places, of course…like the Spanish Spelling Bee in Tampa FL, where my 4 students got completely creamed, but they were ecstatic to go and compete. Like Oak Cliff (Dallas), where I never could get my second graders on a bus to take them somewhere, so I walked them outside to do a lesson on the lawn and shake things up a bit. Like Fort Worth and Desoto, where I took buses full of country kids to read to bilingual students. Like the entire stretch of 287, where I made a 250 mile drive (one way) into a day-trip, just for the fun of it, for a group of seniors who got to see a play–live on stage, and experience a protest, and see modern art. You know… I don’t always take the kids with me, though. 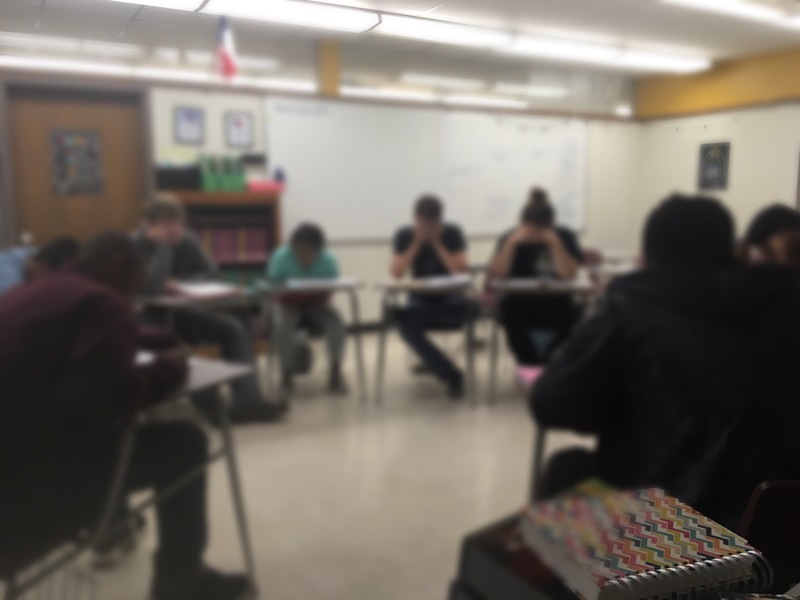 In San Antonio, I changed direction as a teacher, and it changed my life. I gained a PLN I haven’t let go of since when I joined #langchat. I went on numerous adventures, professionally, and personally–as I took my first solo trip post-motherhood to attend the ACTFL conference in 2014. I ate breakfast tacos, and I didn’t have to share. I celebrated birthdays with friends from other countries. I walked alone down the streets of San Antonio, in the rain, just for fun. I discovered the Pulsera Project and it changed everything. In San Diego, I presented at the ACTFL conference. My session didn’t go as planned, and when I started to roll with the punches, the attendees opened up and shared their needs. I threw out my whole plan and started from scratch right there, on the spot. We had an amazing time, and they told me it was the best session they attended that day. I took the fairy to my sessions, and I walked to the convention center each day. I spent my lunch hour at the beach. I got way too close to a seal. I watched a man build the longest hot wheel track I’ve ever seen, while my eyes kept glancing at a homeless man, who was searching a nearby trash can for food. In Austin, my face melted. The world is so much bigger than we can imagine, and it is even bigger than ACTFL could help me see. Seeing what was “new” and “next” changed my praxis. Much of what I saw didn’t directly apply to me, but all of it applied to my students. So, instead of trying to jam it all into my class, I came back and tried to share what I could with those around me. I got lost in the convention center. I got every free t-shirt available in the expo hall. I managed to get a free light saber, 2 selfie sticks, and 73 free pens. I tried fried avocado. I made a point of stopping at every Buc-ees between Dallas and Austin. I made life-long friends and true collaborative relationships. In Nicaragua this summer, who knows what I’ll experience. I know this for sure: it will be an adventure. So. To that person in your life telling you that teaching won’t take you places: they’re wrong. Teaching will expand your mind until it hurts. It will explode your heart until you can’t help but feel every. single. thing. It will challenge your thoughts, opinions, and perspectives, until you become a person who can see many sides to a single situation. It will literally take you outside the four walls of your classroom on many occasions, if you are willing to invest the time it takes to walk out those doors. If you let it, teaching will take you all over the United States, and beyond. If you let it. The first month or two of teaching English was an adjustment and a challenge all its own, but I think I survived, and survived well. I don’t know if it is the upcoming Super Moon or some manifestation of Murphy’s Law, but in the past couple weeks I’ve been “Taking L’s”. This is what “the kids say” when they are taking “losses”, real, perceived, or immaterial. I’ve been taking all of the above. So to cheer me up, here are some “W’s” from the past few weeks and things I have planned coming up. So, L’s: I’ve got some pretty great W’s to balance this out. You don’t win. I don’t lose. This weekend wasn’t quite long enough, but it was plenty to remind me that I love kids, and high expectations are part of loving them and believing in them. Teaching is hard, and sometimes those stakeholders are more like “stake-throwers” while we navigate the seas of change together, raising the stakes. (How many “stakes” puns can I put in a paragraph?) I’m not mad, and as frustrating as it is, I’m not allowed to be hurt, either. I’m just moving forward and buckling down. Thanks for reading.